There are many reasons why someone would choose to volunteer in Canada. Some would like to spend time in one of the most exciting and livable countries in the world. Others, choose to volunteer in Canada in order to practice their English / French language skills in real-life situations. And of course they are those that simply want to spend time doing work that will, in the endgame, benefit others. If you’re considering to spending a few weeks (or months) to volunteer in Canada, here are some pretty neat reasons why you should definitely do it. Volunteering is a great way to experience new things, interest and hobbies. Volunteering in Canada, will certainly provide lots of opportunities to see different parts of the country. For example, if you decide to participate in the Charity Internship Program in Vancouver (or another city), your volunteer placement might take you to different parts of the city where you will be completing your volunteer tasks. And in case you’re a big fan of outdoors, and you don’t mind getting your hands dirty, the Wilderness Volunteer Program is the pick for you. You’ll have the opportunity to spend time in the Canadian wilderness (yes, Canada is famous for its incredible landscapes) working on protection or conservation projects. Getting involved in something you’ve never experienced before will certainly have a big impact on you and will change your perspective. A volunteer experience can also be a great networking experience too. Volunteering, no matter if you’re doing it in an urban area or in the wilderness, will most likely require you to get involved in the community and to work with others. This is a great tool for you to learn more about the locals and their culture. Not to mention that it will have an incredible impact on your social skills. Even though that most volunteer placements are unpaid, that doesn’t mean that the job is very basic and easy. Most volunteer in Canada placement have a great professional aspect that will be useful for your future career. Some placements might even require a little training especially if you don’t have experience with that kind of task (e.g. feeding animals). Let’s say for example that you still didn’t figure out what you want to do for a living. Taking some time off and exploring is a great way to widen your horizon on what is ‘out there’. In case you already picked a profession for yourself but you’re not 100% that’s your calling, spending some time with professional (who by the way have plenty of experience in that area) will certainly help you in the decision making process. And let’s not forget that a volunteering experience is a great way of boost your résumé and most volunteer organizations will be happy to give you a good reference. As you know, Canada has two official languages – English and French. Depending on where you volunteer in Canada, you can work on improving either your English skill, French skill or both (yes there are part of Canada where both languages are used equally). Choosing to volunteer in Canada with a focus on improving your language skills is a good and proactive idea. You should choose your field of volunteering depending on which aspect of your language skills you want to improve. For example, if you want to improve your writing skills, choose placements that have various writing tasks in them like Public Relations or maybe in Educational Support. In case you are a shy person and want to break out of your comfort zone and improve your speaking skills, choose placements that require a lot of communication on a daily basis. Placements in Social Services, Special Events or Youth Services are ideal. And if you decided to volunteer in the wilderness, there are plenty of placement where you will have to provide guided tours to visitors (if you volunteer in a park) so you will definitely be talking a lot. Generally speaking, when you volunteer you donate your time, skills and energy to the ones in need. Scientific studies have confirmed that through volunteering and making a difference in other’s lives and having a sense of accomplishment without being financially rewarded for it, can actually make you happier. Also, volunteering has a psychological benefit and can alleviate boredom or depression. After a day of volunteer work, you’ll feel happy, relaxed (even though you might be physically tired) and you’ll definitely know that you accomplished something. Just like in the previous section, there are many benefits to your health when it comes to volunteering. Physically, though volunteering you’ll get to do the necessary exercise all the doctors are talking about. Especially if you work on hands-on placements. Psychologically, your mood will improve significantly (it’s all connected to those hormones, emotions etc). Most of the time, volunteers are not required to work full-time. When you decide to volunteer, you will also decide how much of your time you’d like to dedicate to it. This will also allow you to take on other things as well like pursuing sports, study another language etc. All these activities will require you to work on your time management skills because you will need to organize your schedule in a way that will create a good balance between your volunteer work, commute between your home and volunteer placement and the time you decided to spend on yourself. Even though when you want to work in Canada, you’ll most likely need a work permit, pursuing a volunteer placement through the Charity Internship or Wilderness Volunteer programs won’t require you to have a regular work permits. Instead, you will need to have a special type of work permit that is meant for volunteer workers. This type of permit doesn’t require you to wait for weeks for it to be processed. Instead, you apply for it when you land in Canada and you’ll receive it in 10 -20 minutes and you’re free to start your volunteering journey. You can learn more about these exemptions here. 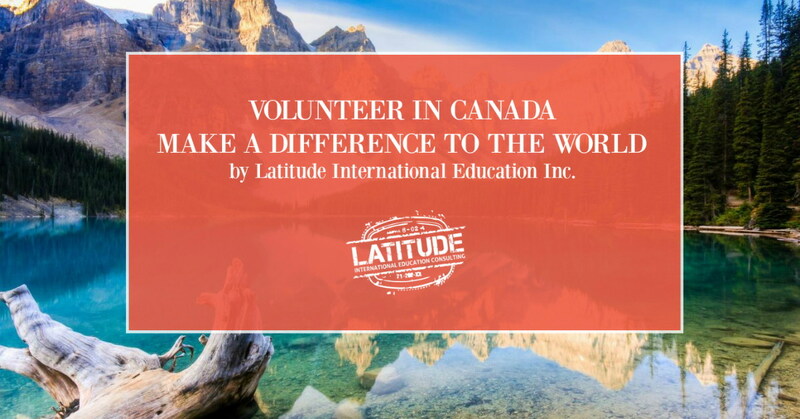 If you’re looking to volunteer in Canada, and would like to know more about the possibilities, contact us and we’ll send you detailed information on the programs and placement options that best suit you.